Utilising the expertise of some of the UK's most renowned professional associations, such as the AACP, combined with our dedication to provide you with a trusted and reliable range, we've compiled the ultimate selection of acupuncture essentials. Classic Plus Needles - a popular brand which has been established as the standard acupuncture needle, widely used in hospitals and clinics worldwide. Seirin (J Type) Needles - made of ultra-thin stainless steel wire to provide gentle, painless and stress-free treatments. 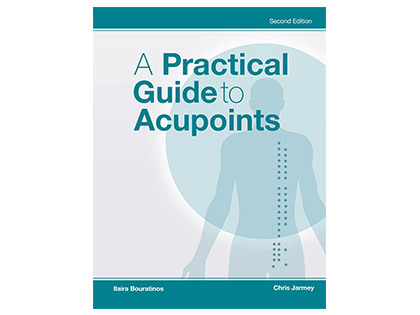 An understanding of acupoints is vital not only for acupuncturists but also for bodyworkers. This user-friendly manual contains current, comprehensive information for both groups, with special emphasis on how shiatsu and tuina therapists can best utilize “point knowledge” in their practice. Physique Therapy Couch - extremely strong, lightweight and portable, this table is used by professionals at the highest levels. Physique Massage Couch - one of the lightest aluminium tables on the market, weight just 10kgs. 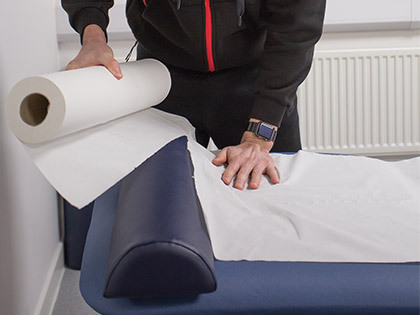 Its unique sprung mattress design, gives you and your patient the best possible feedback during treatment. Physique Therapy Chair - lightweight, portable and economical massage chair, weighing just 8.2kgs. Perfect for any time of spinal treatment, including acupuncture and massage. Couch Roll - hygenic paper towel roll made from 100% recycled material, available in 50m or 25m rolls. Bolsters and Cushions - perfect for supporting the body during treatment. Avilable in a variety of shapes and sizes. Memory Foam Face Cushion - sculpts to your patients face providing ultimate comfort. Couch Covers - cotton based stretch covers with breathe hole designed to enhance comfort. 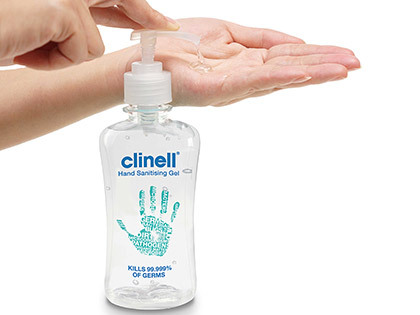 We know how important it is to maintain a high standard of hygiene when dealing with patients so we’ve put together a great selection of versatile products from hand sanitiser to wipes and disinfectant spray. I like using this couch roll as it just makes it a bit more hygienic and also when the client turns over it absorbs any excess lotion/oil too. Super edition to the treatment room, great under knees and feet. An essential hygiene product - this one works. It is strong enough not to tear easily underneath clients or when used with cologne for removing oily residues. The texture and 'feel' is pleasant for use next to even delicate skin. Helpful customer service on the phone, then ordered online, and my massage couch was delivered the following day. Good efficient service all round. Good quality product, great offer! They fit perfectly, look and more importantly feel professional. Great, will be ordering more when needed. I’m well impressed with the stool. We’ll build and a comfy but thick seat to sit on. If the massage bolsters are as good as this seat, I’ll be buying those as well. Great, very strong and comfortable, plenty of good feedback from clients! Light and easy to fold away and make portable! Thank you for your review, we appreciate your feedback. Our couch rolls are one of our best sellers and we get a lot of positive feedback on their quality, however, they can be slightly less rigid than other brands which contain resin. We prefer using 100% recyclable materials as it’s better for the environment and provides better value for our customers. An excellent design. Easy to clean and doesn’t roll off!! I have been massaging for nearly 20years and this couch is by far the most elite couch I have had the pleasure to work with! It has so much detail, so many extras. It is extremely comfortable, lots of positive comments on the comfort and fact hole. Easy to set up and pack away. A superb piece of equipment for a very good price. Nice quality and the order came really quick. Fab couch just arrived and I've tested it loads in the last hour already, it is strong which is what I need. Perfect and the best delivery bought yesterday so thanks! Comfortable, sturdy couch and easy to assemble. It is fairly heavy but the complementary carry bag helps. It's a great couch, light and easy to carry, high quality materials, very happy with my purchase. Brilliant. Great build design and quality! Can't fault it. Lovely product, could be a tad wider for my couch, but more than long enough. I have been extremely impressed with the treatment couch I purchased from Physique. It is excellent quality and very comfortable. A great therapy couch to use and transport, Thank you. Unbelievably lightweight and so easy to set up. The spring mattress is really comfortable and the upholstery is exceptional quality. Love the arch ends so I can sit at either end for close-up treatments. Arrived the next day which was very exciting. Everything in order. It's a bit heavier than I expected, but still light enough to be able to carry from car to treatment room. I am a physio, so need to be able to adjust the couch easily. The pop button legs work very well, and are fully adjustable for my height (5'3"). The only thing I would say is that the mechanism for adjusting the headrest back down once it has been tilted up is quite fiddly but I think I might be missing something - it's not obvious though how to use it. Otherwise seems a good product for the price, and the swift delivery was excellent. Oh, and the case is so easy to put on! plenty of room, zip goes all the way down. And it's not made of animal products! Seems to fit well over my physique therapy couch, the ties are a bit fiddly so I don't use them. Nice and soft. Only had it a couple of days so haven't washed it yet. Fantastic. As described...lovely finish, very easy to pop up and pack away. Very sturdy and comfortable with easy to use adjustable back rest. All folded down smaller than expected too, which is good! Case seems strong and sturdy and allows plenty of room for couch - so no fighting with the zip! I'm currently a student but qualify in 6 months with aim to carry this couch with me through many years to come! Good price, discount for quantity, reasonable quality, next day delivery, what's not to like?! Good for cleansing between treatments, it seemed a little watery on first use, but should last a while. Superb quality, fast and efficient service. Couldn't ask for more! Very pleased with the bed and is an improvement on my previous bed. It feels very secure, clients have mentioned the difference with increased comfort and the added options of head rests and elevation is excellent. Very pleased overall. Brilliant its exactly what you need, easy to use! Very good quality and a perfect fit ! Wrong photo. I bought the navy breast plate and tried it with a client the earlier this week. They were not impressed, it's a wedge shape which means that the head is then too high and not supported. Very disappointed, it should be a whole unit with a face hole included. Thanks for the review. We have since discontinued the Breast plate bolster as it received a few negative comments. The rest of our bolsters are fantastic. I bought 1 to see if I like it, now I have got 5. It cover all massage bed and the head support too. Excellent couch. I already have one of these couches and am now purchasing a second as so pleased with it. All my clients comment on how comfortable it is. I bought a bag with wheels on but it is actually not that good so wouldn't recommend it! Paper smaper - its a roll of paper? Couch superb, used one on the Premier Global Course. Good comfortable couch & easy to pack & unpack. Just wish they could make them lighter, that's my only niggle. Do you sell bags with wheels on?? Jaime Short @ Premier constantly promotes Physique & I know 3 of us in the last week or so have bought couches from you & extra bits. You need to look after her??? The couch is designed to be strong, and with a backrest unfortunately it adds to the weight. For the price it is an excellent couch. A lighter couch with a back rest would be £100's more. We do not sell bags with wheels on but we sell a couch transporter that is excellent for wheeling the couch over any surface. Just as described and delivered on time by the courier. I don't use many of these Couch Rolls but the next time I require more I will definitely use PhysiQue. Very comfortable cushion. Clients like using it and it fits nicely into the carry bag for the treatment couch. Very comfortable for clients to lie on and easy to manoeuvre onto the couch and tie on. Easily washed and ready to go. Fantastic couch. All my clients comment on how very comfortable it is and one even pointed out to me the beautiful filigree detail to the legs! It is very easy to set up and take down and even with my tiny build, it is no trouble to carry about. Very, very pleased. It's very stretchy so will fit any couch, has a nice soft feel to the material so it's comfortable for clients. Beautiful couch! very easy to set up and put together with the accessories. The bag that comes with it is also good as it has a huge compartment on the front to put the cover and couch roll for it. good quality product, perfect to work with! Early days yet but rather better quality than the stool it's replaced! Very stable on casters and good level adjustment control. Very competitive price and reasonably quick delivery. Thanks. Really great couch, very robust, comfortable and easy to set up. Fantastic quality. Height adjustment incredibly easy to use and lovely upholstery. Good value for money but a bit too flimsy. If there was a better quality couch roll to choose from I probably rather pay a little more and get that instead. With response to your comments on the couch rolls, we are glad you find them great value for money! The reason the rolls are less rigid is because they are made from 100% recycled materials, the more rigid rolls contain resin and other materials to stiffen them up, we like to make as much contribution to the environment as possible but still maintain the very best quality. This is a very good quality couch cover at a reasonable price. I was very pleasantly surprised when it arrived as the cover is large enough to comfortably fit my large massage couch (my previous covers have been a tighter fit) with strong elastic and ties that are thick enough to hopefully last for a few years. The terry towelling material is soft to the touch and the face hole has material that drops down quite a way into the hole making it comfortable for clients. The colour is a dark navy and I'd love one in a lighter colour too to match my other towels but otherwise I'm very happy! Hi, I have recently changed to Physique for the supply of my couch rolls as they were cheaper than my current supplier… and they are 50 metres long! The best paper towel rolls I have used!!! Been using these for almost 6 months now and have had no issues with them! They tear at the perforated lines! Easy to roll out and lasts for ages.... Above all, the best price I can find around. An excellent chair. Comfortable for the client. Sturdy and easy to put up and transport. Good angles and adjustability for client and practitioner. I had tried another well-known make previously and had to send it back, it was so uncomfortable. I have been using this one now for over a year and am very satisfied with it. Very disappointed with this product. I bought the bottle with the standard pump dispenser that you would find on most hand sanitiser products. Due to the consistency of the sanitiser being like water, rather than a gel, after dispensing the sanitiser, it continues to drip on the work surface, leaving behind a grey residue once dried. Poor design!